We at U.S. Cooler® realize that there is a strong market out there for standard size quality walk-ins and refrigeration at very competitive pricing. As you may know, more and more walk-ins and refrigeration systems are being sold on internet web sites like eBay at very low prices direct to the end user. U.S. COOLER® ONLY SELLS THROUGH AUTHORIZED DEALERS. To help our dealers stay competitive we have developed a list of standard size discount walk-ins that we are offering at a high discount to our registered U.S. Cooler® discount web dealers. These units come with or without floors and have a variety of refrigeration options. To keep the cost of these units down, we are only accepting paid-in-full credit card payments at time of order. It is the only way we can offer these units at these low prices. 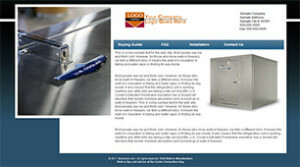 Now you will be able to buy U.S. Cooler® Quality and Service at lower than “cheap box” pricing. U.S. Cooler® only registers qualifying dealers that meet all the following criteria. U.S. Cooler® will review each application and verify the above data. A U.S. Cooler® sales representative will call you to activate your account. U.S. Cooler® reserves the right to accept or reject any applications at their sole discretion. Register now to become a discount web dealer. 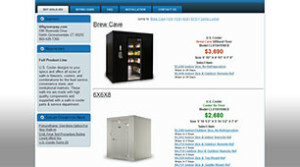 Login now if you are an existing discount web dealer.